When we first discover the connection between food and inflammation, it’s an empowering moment. The food we choose to eat can have a direct impact on our autoimmune symptoms, and that’s how food becomes medicine. However, sometimes there’s a side effect: the joy of eating gets replaced with fear of food. The list of foods we remove grows and grows, and we make the mistake of thinking that food is the only cause of inflammation. It’s also very common to not replace those calories with enough healthy foods that we can eat. This means we end up in a nutrition deficit. Today, I’m welcoming Laura Schoenfeld onto the podcast. She is a registered dietitian and well respected in the paleo community. 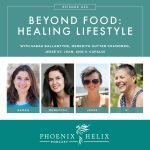 One of her passions is to help people realize the healing power of food (not just its inflammatory power), and how to leave food fear behind. With every order, you automatically gain reward points toward future orders. To see your balance and redeem, just login to your account and check the Rewards section. 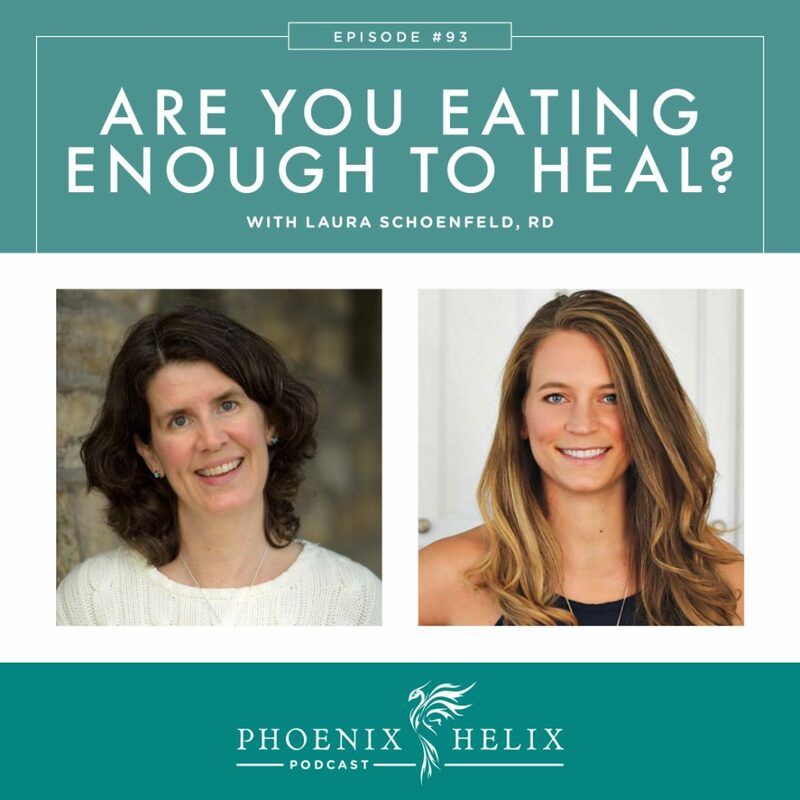 Laura Schoenfeld is a registered dietitian. She was actually raised by a mother who was also a dietitian, following WAPF principles. In college and young adulthood, Laura got into a cycle of restrictive eating, followed by bingeing and overexercising. She was driven by a desire to have a body image that met her definition of perfect health. While she achieved “the look”, her health started to decline. Learning to exercise less and eat more restored her health, and she now has a different definition of what health means. 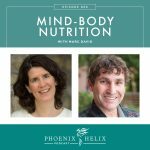 In her nutrition practice, she specializes in helping people create diet and lifestyle plans that support health, without becoming so restrictive there are negative consequences physically and mentally. For people with severe food sensitivities, she knows how to test for and address the root cause, which usually results in expanded food tolerance. People with autoimmune disease often have food sensitivities, sometimes multiple ones. This can often lead to combining restrictive diets: AIP + Ketogenic, or AIP + Low-FODMAP, or AIP + Low-Histamine. The risk is that it's very difficult to get enough calories and nutrition when so many foods are removed. Malnourishment causes immune system dysregulation, which worsens autoimmune health. Most people don't benefit from combining restrictive diets. Don't do it without a diagnosed reason. If you do need to combine diets for a specific therapeutic reason, be sure to work with a nutritionist to ensure that you don't develop nutrient deficiencies. Tests and supplements might be necessary. Most of the time, these interventions are meant to be short-term only. If you tolerate very few foods, it's important to work with a practitioner to find the root cause. Removing more and more foods isn't the answer. There are many reasons that people with autoimmune disease might have digestive challenges. Leaky gut and autoimmune disease coexist. It's a precondition for autoimmune disease, and once active, every autoimmune disease also attacks the gut lining, creating a vicious cycle. Many people with autoimmune disease also develop SIBO and/or other gut infections. And some autoimmune diseases like celiac and IBD actually focus their attacks on the digestive system. The paleo autoimmune protocol removes foods that can trigger inflammation and leaky gut. But often, other treatments are necessary to actually heal the gut lining. Some supplements like vitamin A and zinc might be helpful. You might have an infection that once healed will dramatically increase your digestive abilities. Good nutrition is essential through this process. If we don't eat enough nutrients, our intestinal cells won't have the fuel they need to regenerate. So, if you find you are tolerating fewer and fewer foods, that's the time to work with a practitioner to address root cause. When we have an autoimmune flare, we often look to food first when we're seeking the cause. We want a simple solution that will prevent flares in the future. But there are many other potential causes of autoimmune activity: stress, poor sleep, mind-body connection, hormone fluctuations, etc. Instead of removing more foods, look to other areas for potential cause. Also, sometimes there is no cause. This is really hard to accept sometimes, but it can also be freeing. Sometimes, autoimmune diseases flare, and it's not our fault. Perfectionism can actually be stressful enough to become a flare trigger. Podcast Episode 80: Self Compassion. We live in a society that judges health and happiness by outward appearance, and autoimmune disease often leads to changes in how we look in addition to how we feel. Sometimes we can put the healing priority in the wrong place. For people whose autoimmune disease (or treatment side effects) causes weight gain, it's important to avoid the trap of undereating and overexercising as a way to “fix” this, because this worsens autoimmune health. For people whose autoimmune disease causes weight loss, the stress and self-judgment can be very similar. From a research perspective, there is very little evidence that body size is connected to weight at all. When it comes to healing, it's more important to focus on health and how our body feels, rather than appearance and how our body looks. Resource: Health at Every Size. Reflecting on our core values can help put body image in perspective. When coaching clients, Laura draws on faith, self-compassion and gratitude exercises. 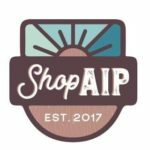 The AIP has two phases: elimination and reintroduction. We aren't meant to stay in the elimination phase forever. 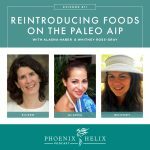 Resource: Reintroducing Foods on the Paleo Autoimmune Protocol. For people who fear reintroductions, it's helpful to consider how much a restricted diet can restrict our lives. Expanded food options brings freedom in many ways – not only nutritionally but also socially. If you've tried reintroductions and every food seems to cause you to flare, it's time to dig for root causes. Usually there's a gut health issue getting in the way. There are micronutrients (like vitamin A) that affect gut permeability and immune sensitivity. Gut infections are also common with autoimmune disease, and if present, can be an obstacle to successful food reintroductions. Lastly, it's important to address psychosomatic factors. Fear can cause a flare, independent of the food being reintroduced. Note: Laura mentioned a Vitamin A presentation by Chris Masterjohn that unfortunately isn't available online. 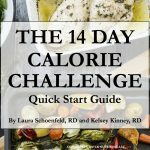 Created by Laura and her co-author, Kelsey Kinney, this meal plan is designed with appropriate calories, macronutrients, and micronutrients in mind. It can very educational to see what “eating enough” looks like. Remember – autoimmune symptoms can be driven by nutrient deficiencies, not just food sensitivities. These meal plans do the calorie counting for you, so there's no tracking involved. 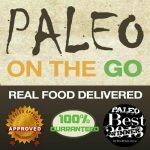 There are 5 meal plans included: (1) Gluten-Free (2) Strict Paleo (3) AIP (4) Low-FODMAP (5) Athlete. Purchase here. Use the code HELIX5 for $5 off your order. It's the difference between being empowered and mindful vs. overly fearful. You can keep up with Laura's work through her website. Use the code HELIX5 for $5 off the 14-Day Calorie Challenge Meal Plan. She's also accepting 1:1 clients for functional nutrition consulting. While she recently retired from podcasting, there are 138 episodes archived in iTunes for the Ancestral RDs podcast.